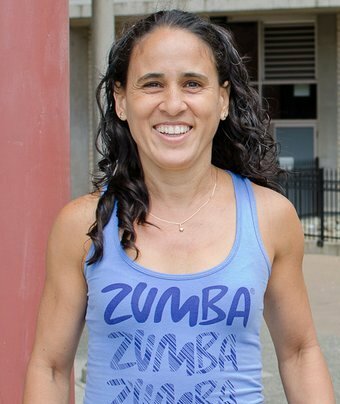 I am a proud Cuban-born woman who instructs ZUMBA® classes in Victoria. I am one of the lucky people who truly enjoys my work. It’s my passion and my therapy. 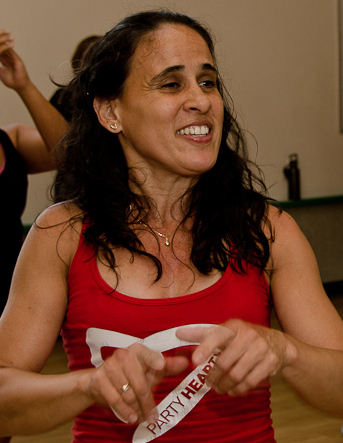 Being a ZUMBA® teacher, I use my gifts as an athlete and leader to help others dance, move, get fit, and have fun. I love to dance—it is in my blood. Since moving to Victoria in 2008, I have also worked as a fitness instructor, yoga instructor and personal training coach. As a licensed ZUMBA®instructor, I teach in seven locations throughout the city. My athletic training began when I was 13 years old. After only a few months of training, I was running marathons and winning competitions for Cuba. I travelled throughout the world as an athlete representing my country. During this exciting time of my life, I thought of myself as a “millionaire of happiness.” My pursuit of excellence was driven by my heart and spirit rather than by material things. I was hooked on the joy of running, dancing, and my dream of becoming a fitness instructor. In Havana, I helped to teach Latin dances at a German travel agency that had a dance company. In terms of formal education in Cuba, I studied for five years to obtain a bachelor’s degree in physical education. I finished this program when I was 20 years old. I then studied kinesiology for another six years to obtain a degree from the University of Cuba. Beside it I studied Shiatsu and Tui Na massages and I worked as a terapeutic masajist. In Canada, I have taken many courses to pursue my personal goal of becoming the best possible fitness teacher. In addition to obtaining credentials to teach many types of ZUMBA®, I am a BC Recreation and Parks Association (BCRPA) certified to teach fitness. I also studied fitness theory and exercise physiology, Osteofit, functional fitness for seniors, Bellyfit®, aquafit, weight- strength training, Yoga fit and the fascinate Somatic yoga . I studied to become a personal trainer and group fitness leader. I also have first aid and CPR training. Despite the challenges of learning to speak English and adjusting to Canadian culture, I have applied my training to the dream I cherished as a young woman. I taught aerobics and Latin dance at the James Bay Community Centre. I also worked at Café Casablanca with Salsa Moderna troupe leader and dance instructor Bernard Henin. I lead ZUMBA® classes from my soul and people can feel it. Join me zumbeando and you too can feel what it’s like to fill your body with energy and your life with joy.